It promises to be a busy week for Hannah Swensen. Not only is she whipping up treats for the chamber of commerce booth at the Tri-County fair, she's also judging the baking contest; acting as a magician's assistant for her business partner's husband; trying to coax Moishe, her previously rapacious feline, to end his hunger strike, and performing her own private carnival act by juggling the demands of her mother and sisters. With so much on her plate, it's no wonder Hannah finds herself on the midway only moments before the fair closes for the night. 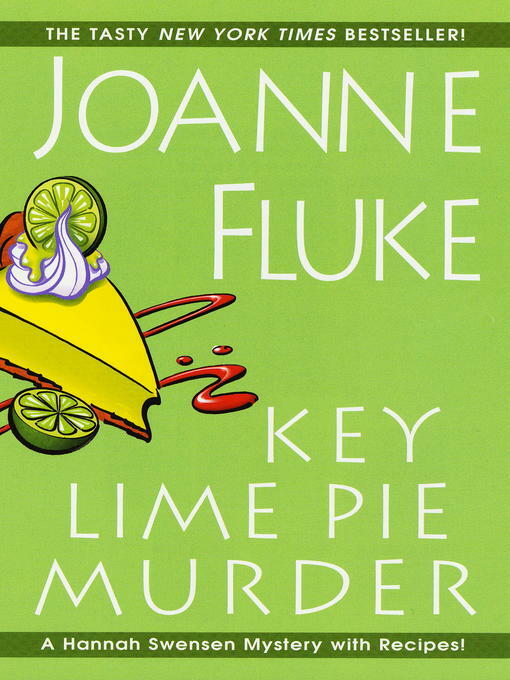 After hearing a suspicious thump, she goes snooping--only to discover Willa Sunquist, a student teacher and fellow bake contest judge, dead alongside an upended key lime pie. But who would want to kill Willa and why? Now Hannah needs to crank up the heat, hoping that Willa's killer will get rattled and make a mistake. If that happens she intends to be there, even if it means getting on a carnival ride that could very well be her last. . .